Welcome to Americas Best Value Inn of San Luis Obispo/ CA. Our 100 percent smoke free hotel is conveniently located near Cal Poly University/ San Luis Obispo Farmers Market/ Chamisal Vineyards/ and Hearst Castle. We are also close to Avila Beach/ Pismo Beach/ and Morro Bay. The nearest airport is only four miles away/ while the nearest Amtrak station is just one mile away. Additionally/ some of the best restaurants in the area/ including Bon Temps Creole Cafe/ Round Table Pizza/ and McLintocks F Saloon and Dining House are within a mile away. 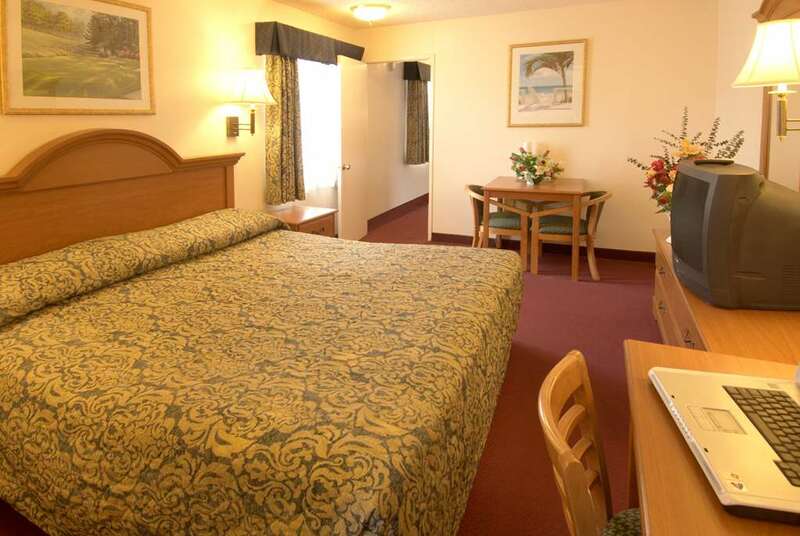 Whether traveling through or staying for a relaxing getaway/ Americas Best Value Inn San Luis Obispo offers clean comfortable accommodations/ affordable rates/ and a friendly staff to help make your stay enjoyable. Start your day right with our free continental breakfast. Appreciate the convenience of our on-site guest laundry facility. Stay connected with free wireless high-speed Internet access in our public areas and free high-speed Internet access in our guest rooms. Step into the privacy of your own guest room and experience absolute relaxation with amenities including a microwave/ mini-fridge/ coffeemaker/ cable TV with HBO and ESPN/ hairdryer/ iron/ ironing board/ desk with lamp/ clock radio/ free local calls *restrictions apply*/ and wake-up service. Children age 18 and younger stay free in their parent*s room. At Americas Best Value Inn San Luis Obispo/ We*ve Got You Covered from the time you hit the road until your head hits the pillow. Americas Best Value Inn San Luis Obispo is conveniently located off of US-101 Exit 203B. Our address is 950 Olive Street/ San Luis Obispo/ CA 93405.